Tennessee Lake home buyers want a variety of choices to meet their individual tastes and lifestyles. Norris Lake Living is designed to provide a wealth of information on luxury real estate on Norris Lake. Site visitors viewing your lake property for sell can expect a unique interactive experience that includes high-resolution photo galleries, 360° virtual tours, video home tours and more. In today’s highly competitive Real Estate market, marketing is increasingly important in differentiating one Realtor from another. With the wide variety of information available on the internet, Realtors who base their services around their knowledge of Knoxville MLS listings are losing their footing to marketers like myself, who provide excellent customer service. I am focused on providing you with the best results and service in the industry. I listen carefully to understand your Real Estate goals and work hard to create solutions that make sense for you. Whether you are new to the market or an experienced investor, I have the expertise, proven track record and marketing resources to help you achieve your real estate goals. As a Realtor, I understand the emotional stress clients are going through when they choose to buy or sell a house. I take pride in making the home buying and selling process easy for my clients and go above and beyond traditional methods to provide 100% satisfaction. Anything less is not good enough. My commitment to innovation and adaptability is demonstrated by using cost-effective marketing methods catered to your individual business needs and interests. And because I do this, my clients happily pay for my services, knowing they received the best quality and value for their money. I deliver a unique & proactive marketing strategy that combines: research, analysis, psychology, technology and statistics. Few agents in the Knoxville area have the background, experience and ability to intertwine these strategic elements to ensure the very best results for you. As a home seller, when you choose to sell a property, the choice of a Realtor is very important and I believe that you — deserve the absolute best! Together with my colleagues at Realty Executives®, we can find the right home buyers for you. hether you're a lake home buyer, seller or builder, Norris Lake Living provides a high level of quality and service that reflects the attention to detail and needs of our clients. 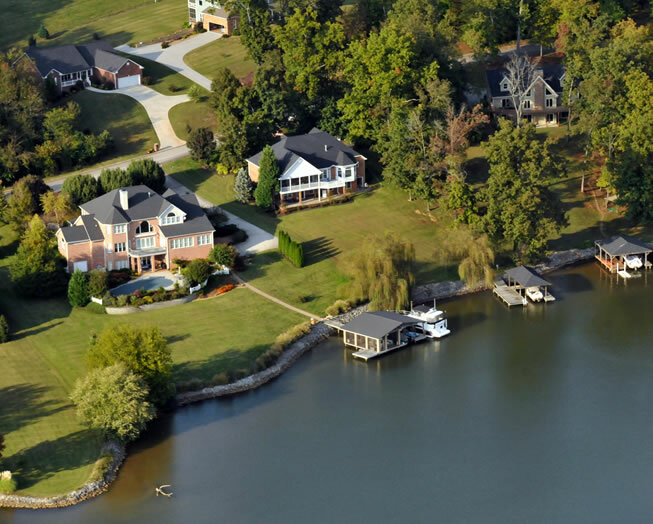 Extensive research and years of waterfront sales experience allow us to provide valuable insight into current Tennessee lake property and lake communities available on the market in Knoxville, TN and the surrounding area. Delivering unsurpassed quality and service requires a careful blend of diverse talents. Our organization of marketing specialists ensure the best possible service for the Real Estate properties we represent and sell. Isn't it time for you to work with a Realtor who understands the market and can help you sell your lake home? Contact me today!